There are a host of benefits to be gotten from taking your kids on a hiking experience. It is a much healthier and far more productive pastime than allowing them to play on their game consoles all day, for a start. What’s more, it will allow them to get out there and see more of the natural world, which could end up inspiring them to be more at one with nature during their adulthood. 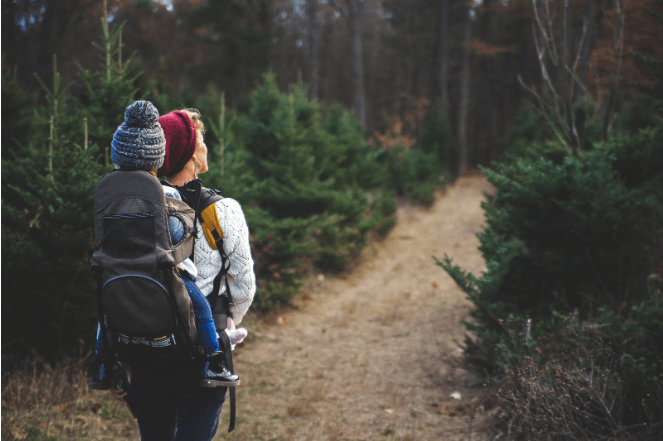 Embarking on a hiking trip with the kids is not always straightforward, however, and you will have to put some work in if you want this venture to be a successful one. To find out exactly what needs to be done in this instance, check out the guide below. Nothing will put your kids off of hiking more than them being unable to get to grips with the trail that you take them on. If the walk is too long, too inclined, or too strenuous, all they are going to want is for the hike to be over and they may never wish to hike again. It is important, then, that you choose a child-friendly trail, this being one that is suitable for the age range and skill level of your kids. Even if this means tackling a trail that is too easy for you, it’ll all be worth it when you instill a love for hiking into your children. To find a hike that is suitable for your kids, make sure to head to a trip marketplace like www.escapewithpro.com. Here, you will always be able to find an up-to-date list of the very latest hiking expeditions — it’s up to you to keep tabs of this site to ensure that you can book your family’s place on the perfect hike. Heading out on a hike with your kids at the wrong time of the day will spell disaster. Therefore, you must be strategic when it comes to when you embark on your walking adventures, as that will make all the difference in your bid to get your kids enthused about hiking. Not be outside while the sun is at its very hottest. Similarly, a child who is not dressed appropriately for long distance walking will also not make for a good hiker. It’s essential, then, that you take care when it comes to dressing your kids on the morning of your hike. All-terrain shoes are a must in this instance (if you want your kids to avoid the plight of blisters), as are items of clothing that protect against the extremities of weather, such as waterproof coats, hats, and sunglasses. If you want your kids to love hiking in the future, you have to take the above advice and ensure that their first walking experience is a successful one.